Here are the perks of parking with Parkrobo. You can forget where you parked because we remember for you. We won't let that gentleman steal your spot. A friend in need is a friend indeed - we are always here for you. Leave the country and travel to the far. Leave the country and don't worry about your car. 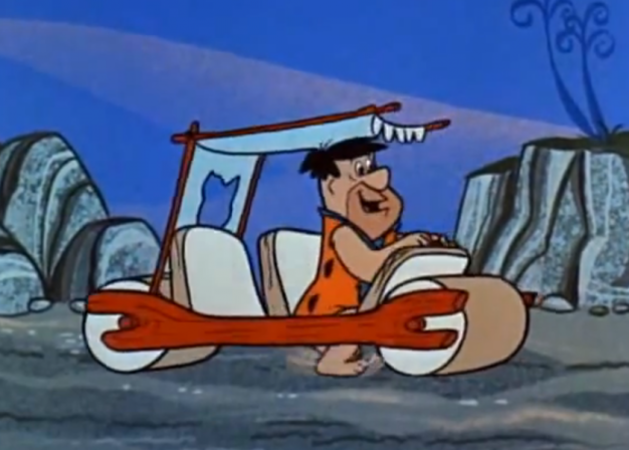 Fred Flinstones would stop running in his car if he was on the roads of today. Well we can assume that the fictional character would soon realize that cars run on their own now but that aside he would still be averse to a car ride looking at all the traffic. But seriously I don't get why people are always complaining about parking, the traffic is stagnant, you can just leave your car on the road and go do your thing. At least parents are relieved now considering that kids don't play in the streets anymore. Yes, we have solved that problem. Play on it? They can't even see it. They should start making the top of the cars in a way that allows it to expand and level out around the other cars creating an evenly moving platform above ground so that we can have an era where people don't have to walk anymore. Just step on level one and be on your way. It would be a charming solution to provide transportation using a problem created by transportation. Hear the roar of that sports car going like a bullet? No, because it's moving like a snail. Congratulations to all those who shell out big bucks for smooth rides. If this is how we exploit transportation mediums then in the up-coming times of casual air transport we will just be sitting ducks. As we are self destructive beings we can safely say that this problem on the roads won't be solved rationally by a collective movement of the common agenda. We will literally drive ourselves mad, spending more time parking than in the park. Let's get down to the real issue here. There are more thefts than ever in the world right now. Particularly a certain sort of theft, temporary in possession but of that which is priceless - parking spots. We won't let those gentlemen steal your spot. Book with Parkrobo and stay safe. © 2016 Mayfliez. All rights reserved.